TempBuddy’s award-winning temporary mobile solution is designed to make temporary work easier and more rewarding. 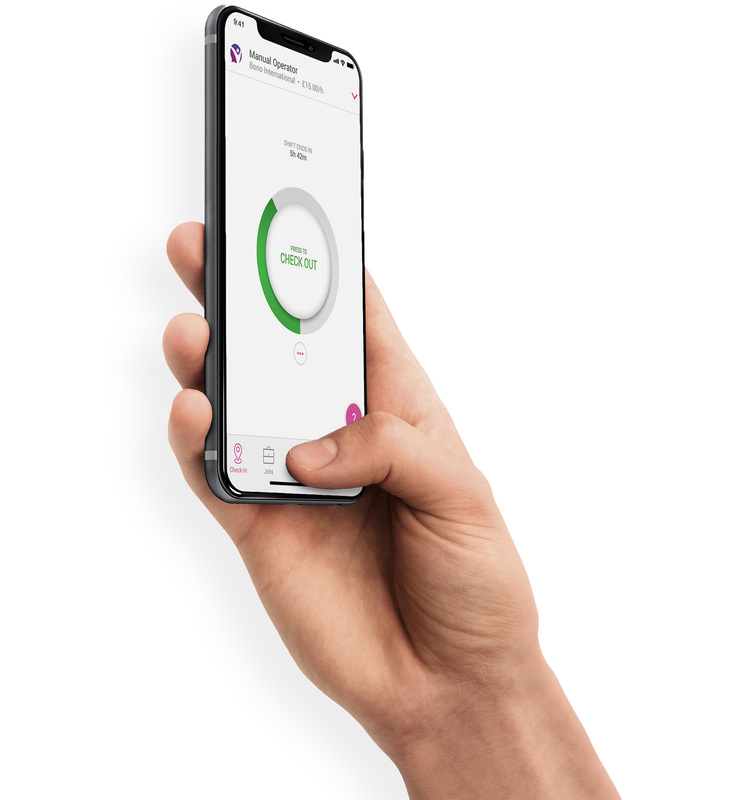 Downloading the TempBuddy worker app means you will receive instant notifications of temporary assignments from your agency, as well as being able to automatically record your hours worked with a selfie. No more paper timesheets, saving you time and hassle. Putting you in control at the click of a button. Send availability updates so your agency knows when you’re free to work. Receive starter onboarding info, including maps for new assignments. 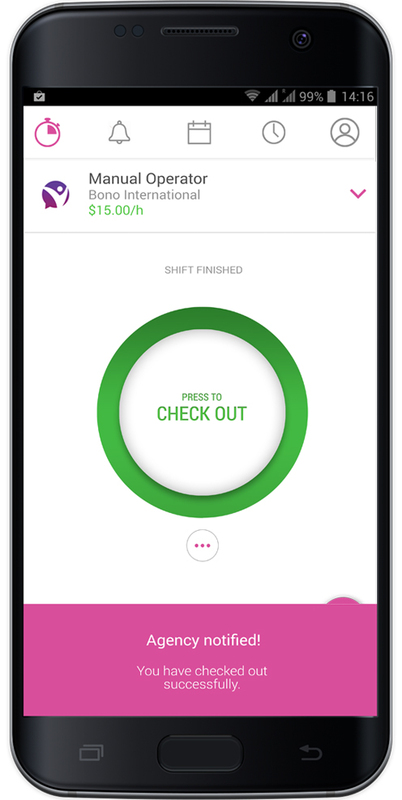 View your shifts and manage your work schedule. Clock in and out with a selfie, generating automated electronic timesheets. Edit and send digital timesheets no matter where you are. Job alerts on the go. With the TempBuddy worker app you’re in control to check in and out with a simple click, taking a selfie that is time and geo-stamped to verify your arrival and departure. A digital calculator automatically updates the hours you’ve worked after you click the check-out button, ensuring your pay is completely accurate. 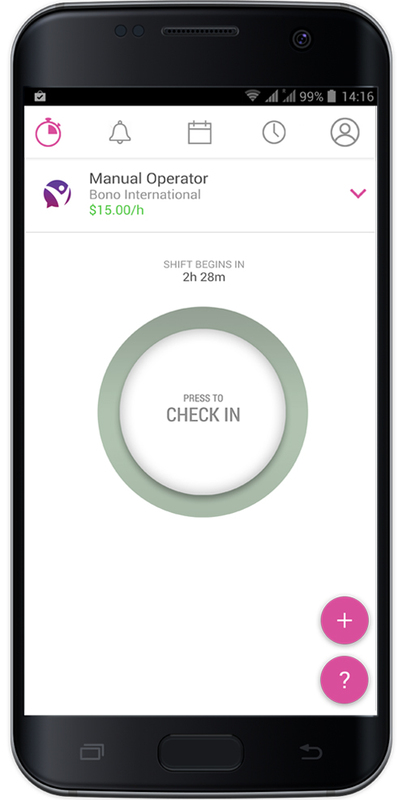 Click the check-in button to verify your arrival at work and start recording your hours. Your agency is notified from the second you check in that you’re working. 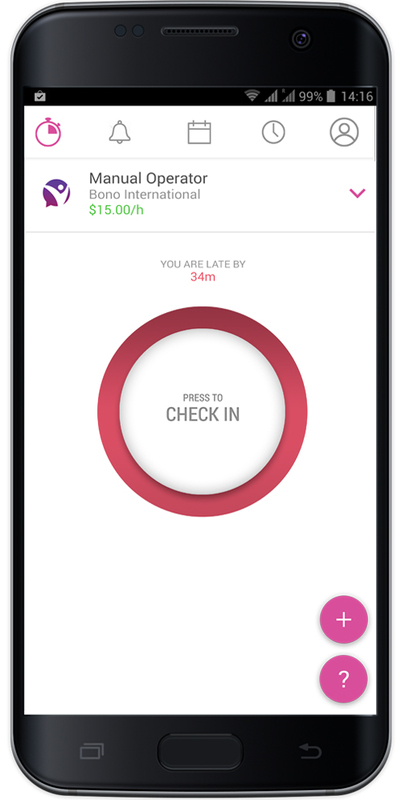 TempBuddy sends you notifications and reminders to check in if the time to start your shift has passed. At the end of your shift or working day once you checkout TempBuddy notifies your agency that you’ve finished work. No more chasing for timesheet approvals. Once you’ve completed your assignment or working week on your last check-out you will see an automatic digital timesheet with a summary of your hours worked. Hit send to submit to your agency, or edit the timesheet first to reflect the correct hours. Once it’s approved, you will see the approved tag on your online timesheet in the TempBuddy app. That’s it, your payment is in process. Full view of every timesheet that updates daily upon check-in and check-out. Detailed overview of timesheet details, such as dates, hours worked and payable hours. Edit timesheets, if necessary, by adding additional days or changing hours. Work when it suits you. To advise your agency of your availability, all you have to do is select the days you’re free to work, pick your hourly preferences and save. Your agency knows then to offer you jobs that are compatible with your schedule. Whenever you can’t check in through a smartphone, you can access your digital profile through the web instead, with all of the same great TempBuddy worker app functionality. You’re guaranteed a fast link to your upcoming assignments with an overview of your schedule. The app is available for iPhones and Android. If you’re a Windows user, or don’t have a smartphone, you can use the web portal from your browser and log in with the username and password you’ve set. Does the worker app track my every movement? No. We don’t track location outside of checked in and out time when you are working as part of our verification process. Even when we receive possible late alerts your exact location is not identified or shared. I don’t have a network connection at work. Even without internet connection, the app still allows you to check in and out with it. Afterwards, it will automatically sync with our server whenever a network connection has been established. Who do I contact about what? For queries related to the app usage, sign-in and registrations, please contact TempBuddy. For queries related to jobs and payment, please contact your agency directly. Would TempBuddy be my new employer? TempBuddy is a temporary mobile solution provided to agencies. You are still on an assignment via your agency who registered you on TempBuddy. How does TempBuddy affect my privacy? With the power of technology that’s in our hands every day, companies need to take responsibility for how they use our data. TempBuddy, as a provider of temporary staffing technology, is in a strong position to influence how agencies manage their workforce and we take our role in protecting the worker very seriously. When you download the TempBuddy worker app you’re entering into an agreement directly with us to provide certain data on your behalf to your agency. In this same agreement we commit to protect your privacy and adhere to relevant data protection laws. Our first responsibility is to you, the worker, in how we use the data we collect from the app. When it comes to the specifics of location services, TempBuddy only shares your location with your agency when you check in for work to verify you’re on your assignment’s premises, while you’re working and when you check out. At other times, TempBuddy does not store your location. Up to an hour prior to the start of an assignment, TempBuddy checks to see if your location is within a specific radius to the place of work. We do not store, share or otherwise identify this exact location with anyone. TempBuddy also needs access to your storage/SD card – this is used to temporarily store the photo taken upon check-in and check-out before it is uploaded for verification. We do not access any other data stored on your phone/SD card. Learn more about the app and how to use it.